LG G3 Android 5.0 “Lollipop” Tour! Since we took a look at Android 5.0 “Lollipop” on the Galaxy S5, HTC One (M8) with Sense 6 and Google Play Edition, and Moto X (2nd gen), it only makes sense that we do the same for another of 2014’s most important flagships, the LG G3. The update is currently rolling out internationally to the G3, as well as to the AT&T and Sprint variants here in the US. So what’s new? Not much actually. It’s pretty obvious that LG is quite fond of their current skin and didn’t bother to make major changes, even with all of the major changes and new design language that were included with Android 5.0. In my time with the G3 on Lollipop, I found some small tweaks to the notification shade, minor changes to the hamburger menu in stock apps, and the general feel of Kit Kat…everywhere. LG did include Smart Lock, multi-user accounts, the new navigation buttons, and their take on the Lollipop priority/do-not-disturb mode. Otherwise, it’s pretty boring. 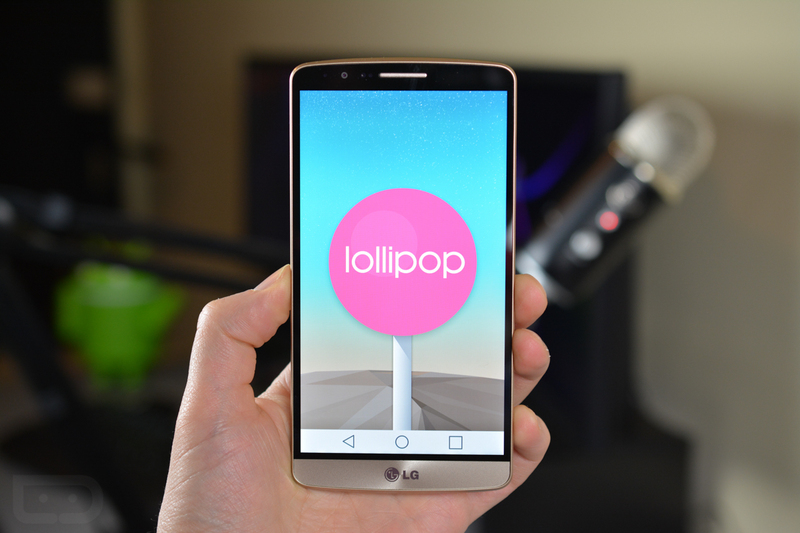 To see Lollipop in action on the G3, hit up the video below.